Francis M. “Frank” “Fran” Jones, 78, passed away on Tuesday, August 21, 2018 at Maine Medical Center in Portland. He was born November 13, 1939 at Mercy Hospital, Springfield, MA to the late John F. “Fred” and Doris E. (Fortier) Jones. He graduated from Cathedral High School, Class of 1957. On May 12, 1958 he enlisted in the Army National Guard of Massachusetts as Field Communications Lineman. He then served as Squad Leader with the 106 Recoilless Rifle from 1961 until his honorable discharge in May of 1964. He was proud of his 18 years of employment at Sears, Roebuck and Company in West Springfield, MA, where he served as Manager of the tool department floor. He was proprietor of the Hampden House Bar & Lounge in Hampden, MA, proprietor of Jones & Son, Inc. General Store in Addison, ME. He was employed by Rier Buick in Machias, ME in the parts department until their closure, and also L.A. Gray/Viking Lumber, Ellsworth, ME in the stockroom until he retired. Once retired, he enjoyed spending more time with family and friends, property management, mowing lawns, and time on the porch. He had a daily routine which began at 4 Corners Shop ‘n Save in Columbia, next stop at Davis’ Service Station in Addison, where (in his own words) “we can solve the world’s problems”, and last stop (approx 9AM) a visit with his daughter, Lee, to provide her with the latest update. He is survived by: his wife of “57 faithful years”, Delcie M. Jones; son, Robert M. “Bob” Jones and his wife, Wilma, of Jonesport; daughter, Lee Anne Jones of Addison; two sisters, Mary Donovan of Haverhill, MA, Carol Pasternak and her husband, Ronald, of Paxton, MA; five granddaughters, Jenny J. Stahl and her husband, Nicholas, of Bangor, Lacey M. Jones of Columbia, Holly E. Jones of Addison, Lindsey J. Jones and her fiancé, Dylan Tibbetts of Ellsworth, Kelsey M. Jones of Jonesport; great-granddaughter, Natalie Grant; great-grandson, Simon Stahl; and his spoiled, fur-baby, Zeik. He is also survived by in-laws, Evelyn Dubois and her husband, Al, of Northampton, MA, Rose McCoy of Florence, MA, Mary Anderson of Chicopee, MA, and David Hassel of MA; and many nieces and nephews. 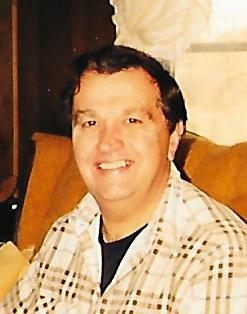 He was predeceased by in-laws, Raymond J. and Delcie (St. Germaine) McCoy, Raymond “Sonny” McCoy, Hugh McCoy, Gert Van Dyne, Agnes H. Wagner, Geraldine Vaughn, and Cecelia M. Murray. He has best been described as: easy going; super-friendly; warm personality everybody loved; quiet; humble; all-around good man; he was the best!